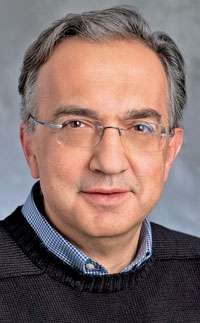 Fiat CEO Sergio Marchionne says he will appoint an Alfa Romeo boss for North America by year end, as he seeks to get a footing in the U.S., before turning his attention to Europe. He says it will be easier to re-establish Alfa's credibility in the U.S. than in Europe. The sporty Italian brand's image has been eroded in Europe by years of mediocre quality, outdated engines and aging vehicles that parent Fiat S.p.A. waited too long to redesign. "We are going to target the U.S. market first and work our way back into Europe," he said in an interview in Turin, Italy. "We have run market tests on the desirability of the Alfa brand in the U.S. and -- notwithstanding our long absence from the market -- it's still one of the best brands in the world, and I think we need to go back and grab it." Alfa Romeo left the United States in 1995. The brand's boss for North America will come from Fiat-Chrysler ranks, Marchionne told Automotive News, a sister publication of Automotive News Europe. Grady: U.S. dealers will get Alfa vehicles. 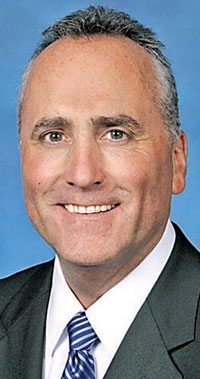 In a separate interview, Peter Grady, Chrysler Group's head of network development and fleet, reiterated the company's commitment to bring Alfa Romeo vehicles to U.S. Fiat dealers. The Fiat brand, which was reintroduced to the United States in March, offers only the 500 subcompact, which will remain the core of its U.S. lineup. Alfa Romeo will produce larger vehicles for the dealers to sell. In early October, Fiat had 124 U.S. dealerships open and the company is working to have 150 dealerships open by year end, about 20 more than originally planned, Grady said. Alfa was Marchionne's biggest headache when he took over as Fiat CEO in June 2004 -- and it remains so seven years later, he said. "Alfa continues to be the most difficult thing I need to do." Marchionne said he inherited various Alfa vehicles that failed to reflect the brand's sporty character, such as the Brera and GT coupes, the Spider roadster and the 159 mid-sized sedan and wagon. Alfa's sales have been disappointing, and company executives have scaled back overly optimistic sales goals. In 2006, Marchionne said he wanted to double Alfa sales to 300,000 units in four years, but 2010 global sales were just 115,000 units. Last month, Alfa Romeo CEO Harald Wester reduced the 2014 target to 400,000 units and this year's goal to a mere 155,000 units. But thanks to Chrysler, Marchionne now has larger platforms and engines that Alfa Romeo can use, allowing development costs to be spread over higher sales volumes. For instance, the company plans to downsize and modify Chrysler's 3.6-liter Pentastar V-6 engine for Alfa, Marchionne says. Fiat early this month announced it would produce a direct-injection, turbocharged 1.8-liter gasoline engine, scheduled to appear in 2013. In Marchionne's view, this was the first step to create sporty powertrains for Alfa Romeo. Despite the most recent delay in Alfa Romeo's reintroduction to the United States -- now set for mid-2013 at the earliest -- Marchionne is convinced his original target of 85,000 sales in 2014 is still realistic. "It should be, simply because of what's being offered at the time of the launch," he said. Alfa Romeo's latest plan for the United States calls for importing in mid-2013 a coupe with a rear-mounted engine and rear drive. The coupe was previewed by the 4C concept. Also due in 2013 is a crossover that will share underpinnings with the Jeep Liberty replacement. It will be manufactured in the United States. 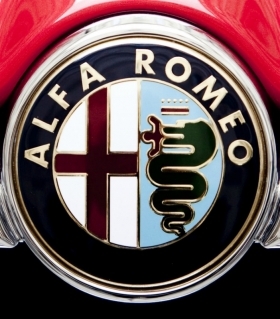 In 2014, Alfa is set to enter the core of the U.S. market with two mid-sized cars, the Giulia sedan and wagon. The two Giulias, replacements for the Europe-only 159 models, will share underpinnings with the Chrysler 200 replacement, which is due in 2013. The 200 replacement, as well as the two Giulias, will be built in the United States. Also in the works are an imported five-door compact that could appear in the United States in 2013, along with a Spider roadster and a large sedan both set for 2014.